My child has dental anxiety, how does a pediatric dentist help? A pediatric dental practice is designed for children. The staff members choose to work for a pediatric dentist because they like children, so most children are comfortable in the office. The pediatric dentist has special training in helping nervous children feel safe during dental treatment. 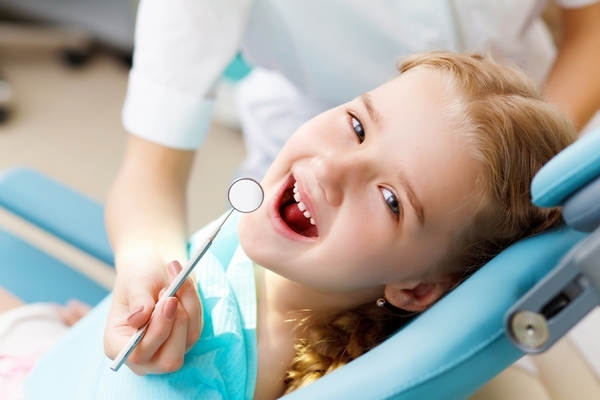 What can a pediatric dentist do to help make my children feel comfortable? Every child does something right during a dental visit, and pediatric dentists let children know that. Pediatric dentists are trained to help children feel comfortable with the dental treatment by showing and naming the dental instruments, and demonstrating the use by counting your child’s fingers. Coaching and parent participation also gives your child confidence in dentistry. When my children go in for dental work, should I stay with them? It depends on the age of the child. Infants and young children may feel more secure when their parents stay close. With older children, communication between the child and dentist is often better when the parents remain the reception room.